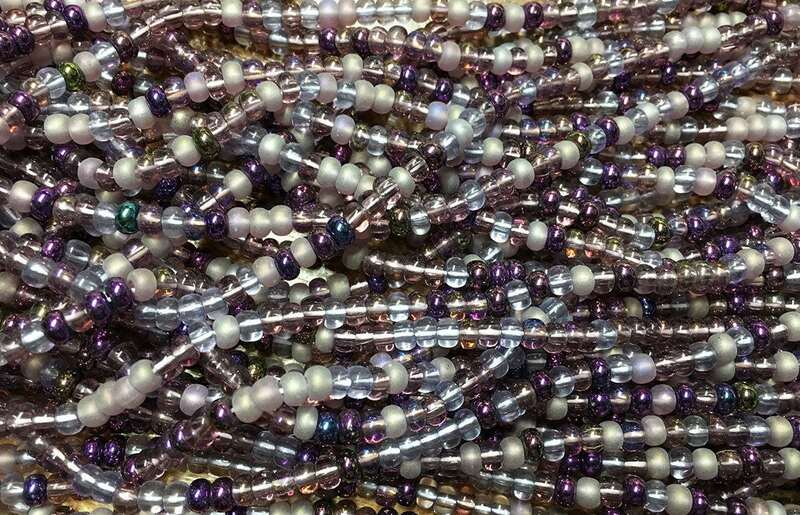 Lilac mix of shades of purple size 6/0 Czech glass seed beads. Size 6/0 beads measure about 4.1mm (also referred to as E-beads). Approx. 70 grams of beads on a 6 strand half hank, about 9 beads per inch....that's around 170-185 beads per strand; approx. 1100 beads!. Plenty of large hole beads for your beading, knitting, crochet, fiber arts projects! Super fast delivery. Good variety of products. Excellent pricing. Very professional refunding when quantity was not available. Will continue to order my supplies from this seller. Highly recommend. Beautiful beads. I will order again.